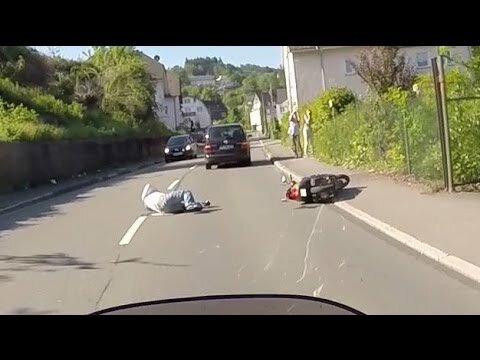 Here’s a very satisfying video of a German rider chasing down a van driver who deliberately hit a scooter rider after an altercation, and tried to run from the scene, probably believing there were no witnesses to his road raging outburst. But in an age of helmet cams and dash cams it’s not only illegal and dangerous to endanger lives of others on purpose, it’s downright stupid. Motorcycle rider captured the incident and after a quick pursuit he caught up with the perpetrator, who then made a pathetic attempt to justify his actions. 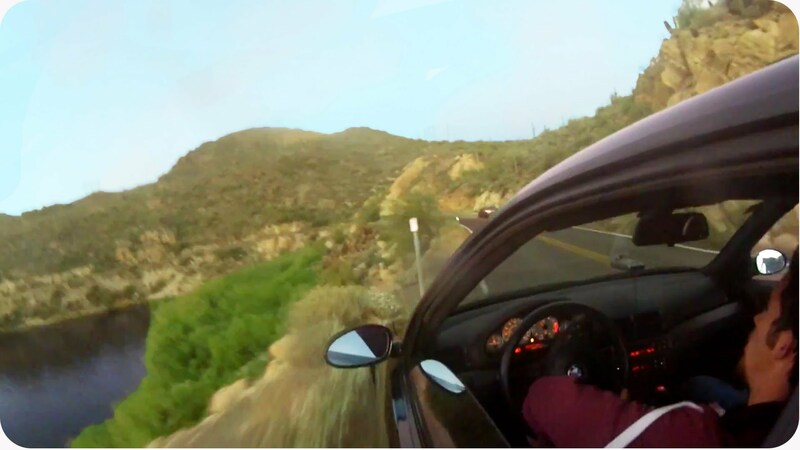 Beemer Fell Off The Cliff After Misjudging Corner!